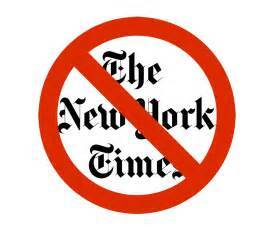 Free speech is essential so shouldn’t Bret Stephens, a Pulitzer prize winner, be allowed his say? Sure but when he does so from the pulpit of the NYT it takes on a greater meaning. This is the NYT, it has been published daily since 1851. It is ranked 18th in the world by circulation and within the industry is known as the national “newspaper of record”. So when Mr Stephens shouts out his climate science denial – as his opinion – he does so with the stamp of approval from the New York Times. Are they not to be held responsible when Mr. Stephens shouts out things which are contrary to the scientific record? Will they soon also be hiring opinion writers who believe the Earth is flat? Why would the New York Times do this? Is it for ratings, sales, advertisers, did they bend to pressure from someone else… it’s mind boggling and pathetically sad. They say it is to increase readers and we know their circulation has fallen but at what cost do you sell your soul?